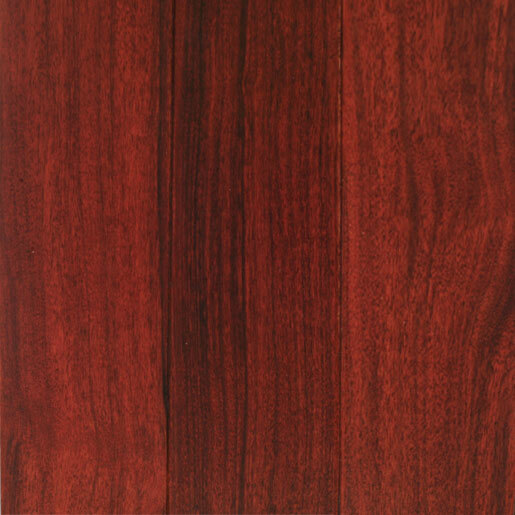 Patagonian Rosewood is also known as Angico Preto (preto meaning Dark in Portuguese) or Curupay - this is the darker of the two species of Angico. Other common names for Patagonian Rosewood are: Anadenanthera colubrina, Curupay, Curupau, Kurupay and Angico Preto. 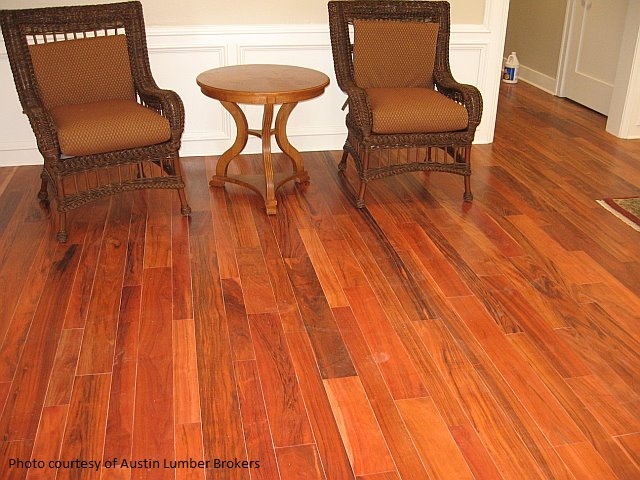 For installing prefinished solid hardwoods such as Patagonian Rosewood, nail or staple down installation is recommended. Patagonian Rosewood measures extremely high on the Janka hardness scale at 3,840. 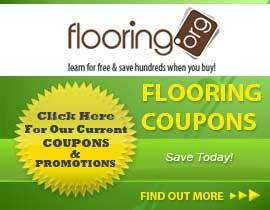 This is truly a durable exotic hardwood flooring. This exotic species will be found in the Paraguay and Bolivia. Patagonian Rosewood will darken over time and it has beautiful colors of dark brown with contrasting yellow tones.